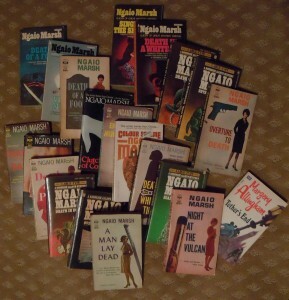 I decided only to take my Mom’s paperback mysteries; I don’t really have space for the hardcovers. 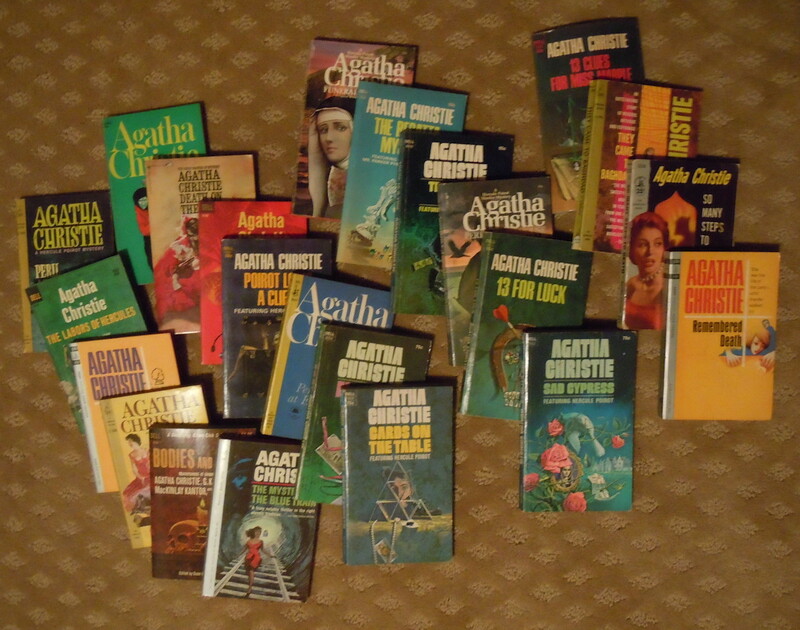 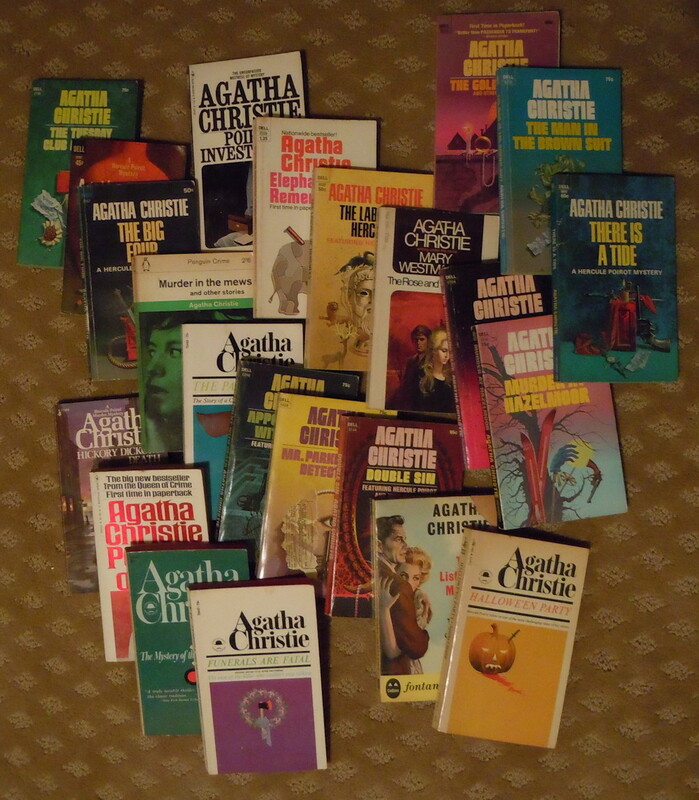 Who knows when or if we’ll get around to reading these, but if I ever get the urge to read some Agatha Christie or Ngaio Marsh, then I’m all set. 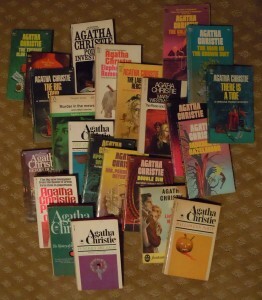 I love the Agatha Christie books. 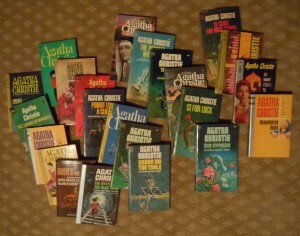 The Poirot and Miss Marple books are generally “fair” mysteries that turn on things pointed out in the text, with believable motives rooted in human behavior and so are considerably more rewarding to read closely than, say, Sherlock Holmes mysteries (which turn on obscure details of cigarette ash and mud from the Brixton moors).